Snooker stars Darren Bond, 16 years from Tiverton and Kris Vincent 18 from Plymouth both recently represented England in the home international set the standard in this event 1 of this seasons West of England Billiards & Snooker Foundation Gold Waistcoat Snooker Championship. The tournament is sponsored by the Sunday Independent and the first venue was hosted by Riley’s Snooker Club, Plymouth. This was Bond’s first taste of success at this level and judging by his performance, won’t be his last. He defeated Vincent in a highly tactical final. Bond took the first frame and looked in total control in the second on his way to a quick 2-0 victory. However, Vincent had other ideas and levelled the match with some clever play. Bond was not to be phased and fought hard to take a tense final frame to win 2-1 and his first Gold Waistcoat event title. In the semi final Bond was paired against the in-form Greg Batten also from Tiverton, Batten is just one of the many top class players who travel from all over the South West to compete for the prestigious title of WEBSF Gold Waistcoat Champion. Like all before on the day, Batten was to succumb to the tenacity of Bond. This match was full of drama, after Batten had taken the first frame and built a lead of 40 plus in the second it looked all over for Bond until he laid a very clever snooker. After three failed attempts to escape Bond seized his chance and took the frame. In the final frame Batten again opened up a lead this time 30 points only for Bond to repeat a recovery to win 2-1 with a fine display of long potting, a trade mark of this remarkable young talent, to book a place in final. The other semi-final matched Vincent with Andy Symons-Rowe, Tavistock. Most pundits where backing this pair to produce the eventual winner of the tournament and the match lived up to everyone’s expectations. After Symons-Rowe had won the opening frame and accumulated a 42 lead in the second, the match seemed to be heading his way. Vincent then compiled a 38 break to draw close but uncharacteristically missed an easy yellow with the balls at his mercy. Fortunately for Vincent Symons-Rowe did not take advantage of this miss giving Vincent a second bite of the cherry which he took, clearing the colours to level the match. This seemed to boost Vincent’s confidence and he took the final frame with the aid of a match winning 57 break to win 2-1. In the quarter final matches onlookers where treated to some top class matches. Batten beat Mike Day, Plymouth 2-0 with the aid of a 44 break and had a 52 break in defeating the current Champion and former England International Andy Radford, Exeter by the same margin. Vincent beat top County Billiards player and coach, Steve Brookshaw, Plymouth who was making is debut in the tournament by 2-1. In the last of the quarter finals England player Mike King (Exeter) lost to 2-1 to Bond. Bond making a well constructed 66 break for good measure. The highlight in group A was without doubt Bonds marvellous 96 break. After potting 12 consecutive reds and blacks he was in the driving seat to become the first to make the maximum 147 snooker break in a WEBSF tournament. Hi opponent was Gold Waistcoat debutant, Paul Vetch (Plymouth) who like most new comers to the tournament found the going tough, his undoubted talent will no doubt come through and be a force to reckoned with in the future. Another player from Plymouth taking part for the first time was Matt Williams who just missed making the final stages when he lost 2-1 to King. Williams missed a vital black after which King took advantage with a 42 break. The quality of the match was of the highest standard with breaks of 50 & 42 from King and 60 & 43 from Williams. Earlier Williams beat Ben Pike, Honiton 2-1 with the aid of a superb clearance of 62 when 60 behind to win on the black. Pike had breaks of 57 & 53. This group produced no less than thirteen breaks over 40. In group B currant Gold Waistcoat Champion Andy Radford, Exeter posted the highest break of the group a fine 84 to finish second. Group winner was Greg Batten from Tiverton who looked in great form posting a string of breaks (74,65,48 & 42) non qualifiers where the fast improving Grant Cole (Plymouth) and Darren Lock (Seaton). Both where found wanting on this occasion against such tough seasoned opponents. Group C saw Plymouthian Steve Brookshaw, better known for is billiards expertise, play good solid snooker top with a fine 84 break in a 2-0 win over the much improved Sam Baird from Halberton. Brookshaw qualified along side group winner Kris Vincent (Plymouth). Another good performance was given by Wayne Woodger (Exeter) who made breaks of 55 & 31 in the same frame. Other breaks where made by Baird 48 & 51 and Vincent 65. In group D Andy Symons-Rowe was dominant posting breaks of 85, 82, 65, 61, 45 & 52 to qualify without dropping a frame. Mike Day (Plymouth) also qualified from this group at the expense of Jamie Dykes (Glastonbury). It’s good to see players wanting to travel to compete against the best in the region and improve their skills. Tournament Director Keith Millard said “The Gold Waistcoat Tour continues to push up the bar. This time it has to be Darren Bond’s great attempt to be the first player to make a 147 break in a WEBSF tournament. The overall standard of play continues to improve and with the likes of Matt Williams joining the competition the bar can only continue to rise”. The next Gold Waistcoat Tour will be hosted by Rileys Club, Exeter on Saturday 16th December starting at 10am sharp. 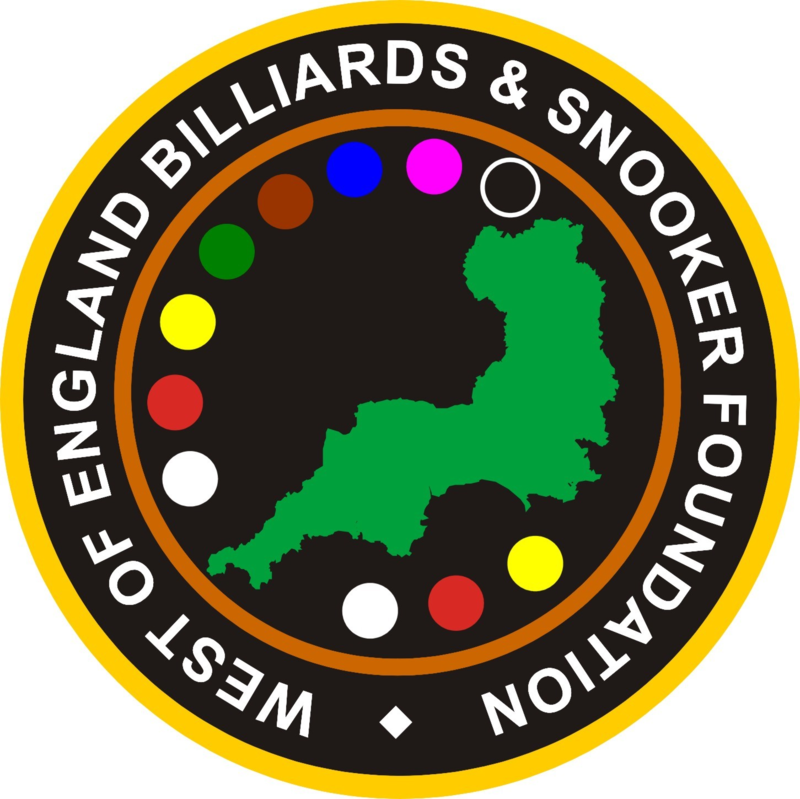 To find out more about the only Billiards and Snooker Foundation of its kind in England and how to get the opportunity to compete in quality tournaments with great prizes go to http://www.websfsnooker.com. Sam Baird (Halberton) struck gold when he overwhelmed Mike King (Exeter) 4-0 in the final of the second Golden Waistcoat Event of the season. Baird had breaks of 61, 55, 38 to win the four frames needed. King had very few chances in a match that was dominated by superb potting from Baird. Baird is another young player that is benefiting from the quality opposition the Gold Waistcoat Tour attracts. Over the past couple of seasons he has shown considerable improvement and can match it with he best in the region and is a serious candidate to add the 2007 Gold Waistcoat title to the Silver Waistcoat title he holds from last season. For King this was a disappointment considering he was the in-form player. During the he tournament recorded no less than eight breaks over 50, the highest being a quality 96 break in a 4-1 defeat of Matt Williams (Plymouth) in the quarter finals. This was the second time King had halted Williams progression in the tournament. However, Williams has obvious talent and will no doubt relish the challenge and convert to winning ways in future tournaments. Greg Batten (Tiverton) reached the semi-finals with emphatic wins over Wayne Woodger (Exeter), 4-0 and Mike Day (Plymouth), 4-0. Batten posted six breaks of over 40, the highest being a fine 87 Break against Day. His rout was soon to be halted in the semi finals when he found himself on the receiving end of a 4-0 drumming from King. The next Gold Waistcoat Tournament will be held at Riley’s Snooker Club, Plymouth on the 27th January 2007 starting at 10am sharp. To find out more about the WEBSF and how to compete on the Gold Waistcoat Tour go to http://www.websfsnooker.com. Plymouth’s Luke Walker showed his true form by beating Mike King (Exeter) 2-1 in the final of latest West of England Billiards & Snooker Foundation, Gold Waistcoat Snooker held at the Victoria Snooker Centre, St Budeaux, Plymouth. Walker who has a natural flair for the game proved that he is a player of quality and is on a par with the best in the region. He consistently produced a high standard of potting and break building which is a requirement if you are to compete on this prestigious tour and have any chance of becoming the 2007 Gold Waistcoat Champion. On is way to the final he beat Andy Symons-Rowe the 2005 English Amateur Championship finalist, 2-0 in the last eight with breaks of 56 & 48. In the semi-final he overcame the gritty determination of Cornwall’s only representative Darran Lock (Seaton) 2-1 in what turned out to be a tactical match with high quality safety play. The result could have been so different if Lock had not missed an easy red leaving it tat the mercy of the clinical potting of Walker who went on to take the frame and reach his first Gold Waistcoat final. Other matches in the knock out stages included a fine 2-0 win from Lock over current Gold Waist Champion Andy Radford (Exeter). Radford had previously made breaks of 81, 77, 77, 75, 60 & 55. Other outstanding performances came from Mike King (Exeter) with breaks of 79, 56, 50, 42. However, the break of the day came from one of the brightest young prospects in the region, Sam Baird (Halberton). Baird hit a superb 105 that contained some audacious pots. Eventually Baird was undone by newcomer Ian Davie from Exeter who is a model of consistency and is sure to feature in future tour events. Greg Batten (Tiverton) looked ominous in the early rounds but he went out in the last eight to King who recently made Exeter League history with his first tournament 147 break in competition. The round robin stages saw Radford and Davie both qualify from group A at the expense of the fast improving Grant Cole (Plymouth), Cole made breaks of 64 & 54, Michael Day (Plymouth) and Wayne Woodger (Exeter). With the standard of all the players improving month on month the difference between qualifying for the final stages or going out in the round robin stages is down to the odd frame, there are no easy matches. In group B Alex Dunlop (Plymouth) played well but didn’t qualify. However, he will take satisfaction from beating class act King 2-1 with the aid of a 45 break. Jamie Denham (Exeter) turned in some good performances along with Neil Chiswell (Plymouth) but this wasn’t enough to prevent King and Lock to finish 1st and 2nd respectively. Group C was to be one of the strongest groups. Walker and Baird both won through at the expense of Matt Williams (Plymouth). It was evident that Williams was suffering the after effects of a car accident he had been involved in a few days earlier. We have yet to see the best of this talented player, he did however engineer a fine win under the circumstances, against the equally talented Darren Bond from Tiverton. Symons-Rowe won group D comfortably winning all his games with breaks of 61 & 56. County billiards champion Steve Brookshaw had an indifferent day but still managed breaks of 67 & 41. Also this group was 15 years old Dale Branton, the current Bronze Waistcoat Champion. This was a big step up in class for Branton junior which came about after his father and the winner of the very first Gold Waistcoat tournament in 2004 decided to sit this one out. Branton junior justified his place amongst the big guns by making a 52 break and taking a frame off of his mentor Brookshaw and he had a real chance to beat Greg Batten 2-0, Batten eventually winning 2-1. The message is clear that Branton junior is intent in following in dads footsteps. Tournament Director for the day Steve Canniford said “Luke Walker’s win should come as no surprise nor should we underestimate young Branton’s exploits. Both these players have put time in on the practice table and are now reaping their just rewards”. The next Gold Waistcoat event in the series is due to take place on the 29th April at Rileys, Plymouth. Greg Batten (Tiverton) came through a barrage of breaks from Sam Baird (Haberton) to win the penultimate West of England Billiards & Snooker Foundation Gold Waistcoat Snooker Tour event. In classic matchplay style he ran out the winner by 5-3. Batten only made one break of note a 66 but it was Baird that was in break building form, posting breaks of 61, 54 and a superb 104. This was Batten’s first event win of the season and it takes him into level first spot with Mike King (Exeter) at the top of the ranking table. The nearest player in the chasing pack is Baird just 180 points behind this makes for an interesting final event which is due to take place on Saturday 14th July. In recent weeks Batten level of matchplay has come on leaps and bounds, will this be enough to take the most prestigious snooker tilt le in the region by becoming the WEBSF Gold Waistcoat Champion 2007?. In the semi’s Batten beat Darran Lock (Seaton) 5-0 with a real treat for onlookers. Batten swept aside Lock with breaks of 95, 72, 46 41. The other semi-final paired Baird against King with Baird winning the match by 5-2 with breaks of 78,51, & 40. The quarter final matches saw Batten in great form against Matt Williams (Plymouth) winning 5-1 with no less than three breaks in the 90’s, two back-to-back and a 58. All three 90’s could easily have been century breaks. For Williams it was to be another match when is opponent struck top form. In the other matches Lock just edge out Andy Symons Rowe (Tavistock) 5-4 despite Symons-Rowe posting the highest break of the day a fine 105. King beat Grant Cole (Plymouth) 5-1 and Baird beat Paul Veitch (Plymouth) 5-2. The highest break in the latter match coming from Veitch a solid 66. Other matches saw wins for King against current champion Andy Radford (Exeter) 4-2, Radford out of the hunt for this years title. Symons-Rowe was a 4-1 winner over Mike Day (Plymouth) 4-1 and the closest match of the first round went to Batten as he just edged out Darren Bond (Tiverton) 4-3 in a very tight match. Five events, five winners but it was England International Mike King from Exeter that came out on top of the rankings to be crowned the 2007 West of England Billiards & Snooker Foundation Gold Waistcoat Champion for the second time in three years. Once again the tournament was sponsored by the Sunday Independent. At the start of this final event King, Sam Baird (Halberton) & Greg Batten (Tiverton) were all in with a chance of lifting this prestigious title. Batten the in-form player after winning the previous event in style, set out his stall with an early 103 break in his first match. A hundred break is good snooker by any standard but it only accounts for one frame and Batten ended his first match on the receiving end of a tight tussle against former champion Andy Radford, Exeter 2-3. This seem to take it’s toll on Batten as he then went on to lose to Baird 0-3 and could only manage a consolation 3-0 win over young Silver player Mitchell Grinsted (Plymouth) who entered the competition to gain experience. This was the first time Batten had not qualified for the knock-out stage this series. Baird won the group with breaks of 85,54 & 47 Radford qualified in second place with the best break of the season, a 106 against Grinsted. In the groups stages it was a much closer affair with King topping group B with breaks of 72,70,56,49 & 45 clearance. Matt Williams (Plymouth) was a model of consistency finishing in second place by virtue of frame count-back posting breaks of 69,61,53,49 & 44×3. Michael Day (Plymouth) blew hot and cold with a superb 3-2 win over King and a 0-3 defeat at the hands of Williams. Young Plymouth prodigy Dale Branton, like practice partner Grinsted, entered the tournament for the experience and took Williams all the way losing by just 2-3. The semi finals saw Williams consistency diminish losing 1-4(55,53,51 & 49) to King and Baird beat Radford 4-1 with breaks of 78 & 77. The final was a one sided affair with current under 21 Silver Waistcoat Champion Baird not able to produce his normal free flowing potting and break building. King won 4-0 to take the event and the overall title in style.